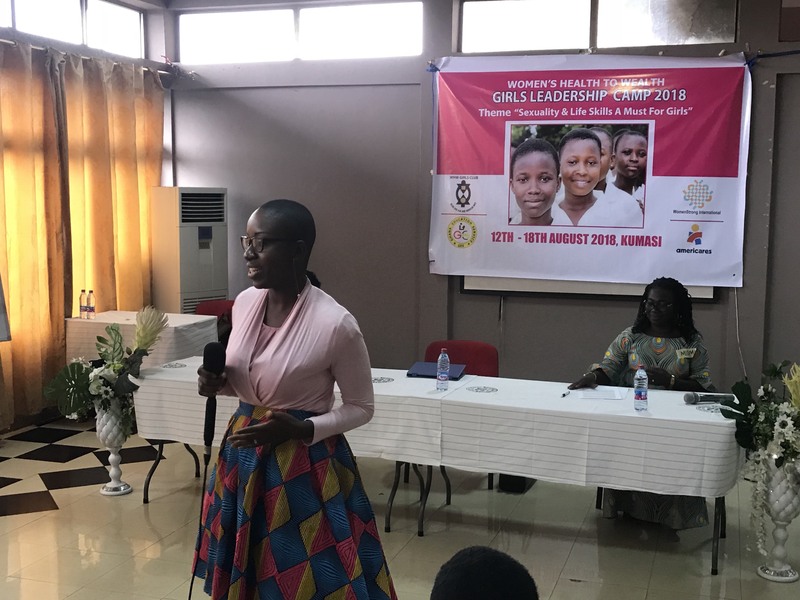 REPORT ON VICTORIA ASAMOAH; WOMEN’S HEALTH TO WEALTH GIRLS’ CLUB MEMBER AT PIASE D/A JHS. 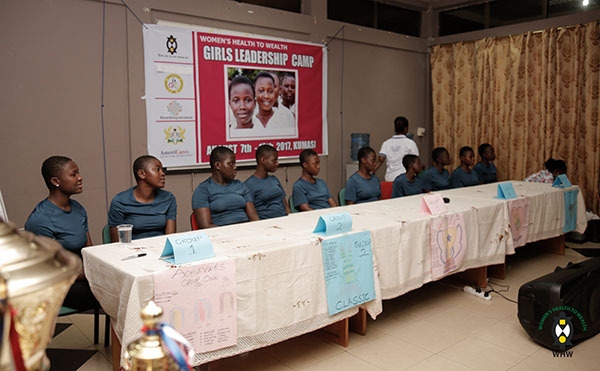 The Women’s Health to Wealth (WHW) is an organisation committed to the health and education of girls in first and second cycle institutions within the Ashanti Region. To achieve this, Girls’ Club program was instituted. 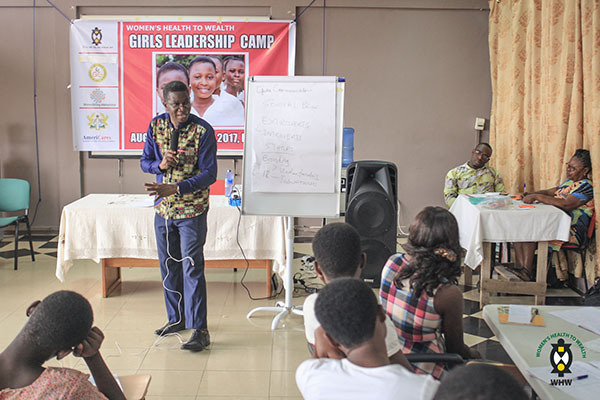 There are currently thirty-six (36) girls’ clubs in the Atwima Nwabiagya, Afigya Kwabre, Kwabre East and Bosomtwe Districts in the Ashanti Region. 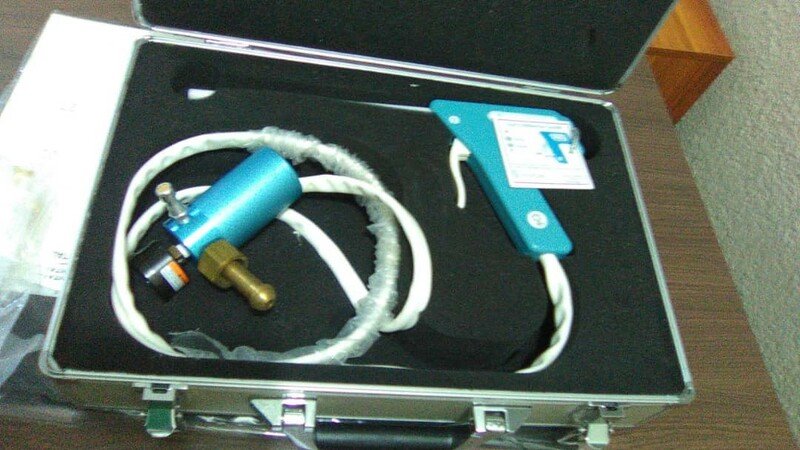 See appendix 1. 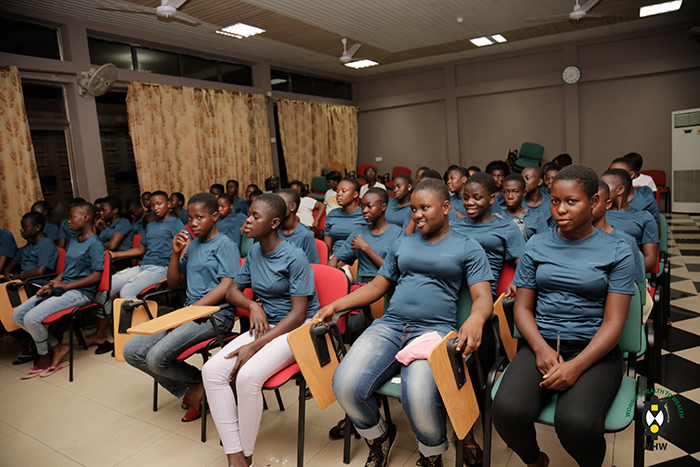 The program creates safe environment for girls to express themselves, improve their literacy skills, learn about their biological makeup and associated changes as well as good health practices. 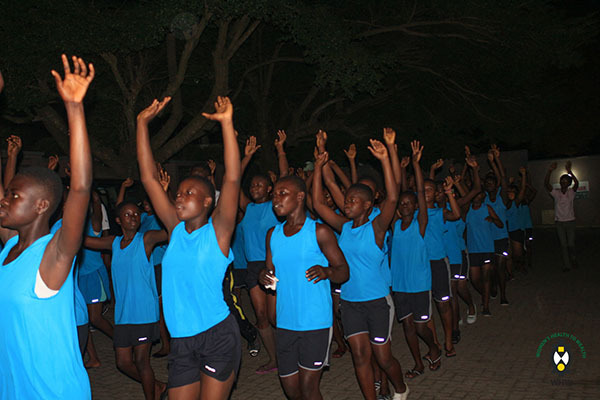 The program also has measures to provide support for club members whenever the need arises for their well-being. 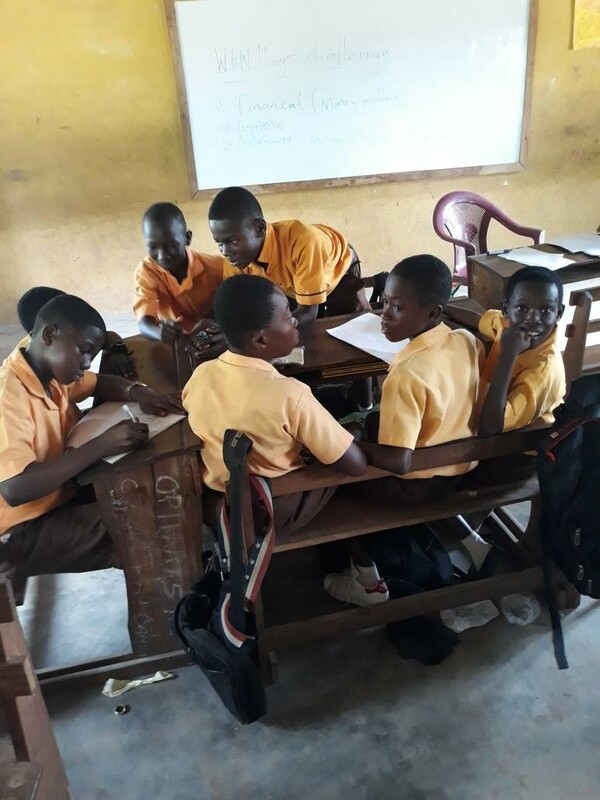 In line with this objective, WHW came to the aid of a club member, Victoria Asamoah, from the Piase D/A Junior High in the Bosomtwe District. Victoria fell and broke her leg at the beginning of the 2016/2017 academic year but was not immediately taken to the hospital by her guardians. A Herbalist was contacted to help her. 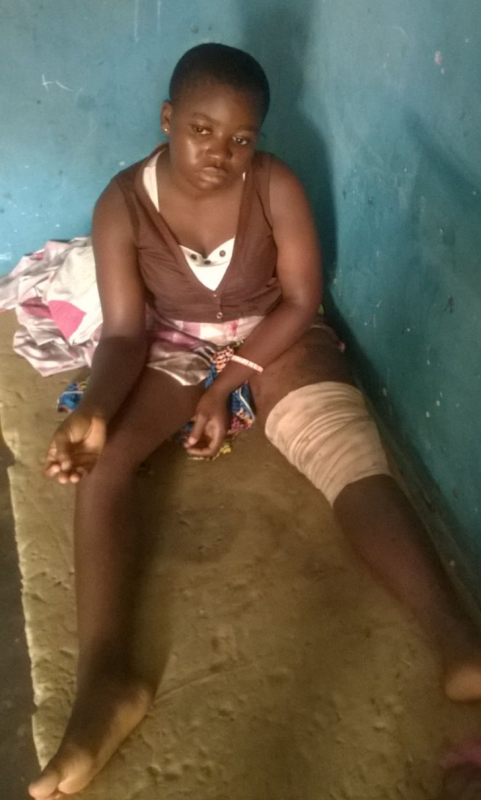 However, her condition deteriorated as a result of the lack of proper medical care. Victoria, when she was visited by facilitators. Facilitators of the club, Mavis Owusu Ansah and Matilda Animah upon investigations realised Victoria was being denied conventional medical care because of financial problems. 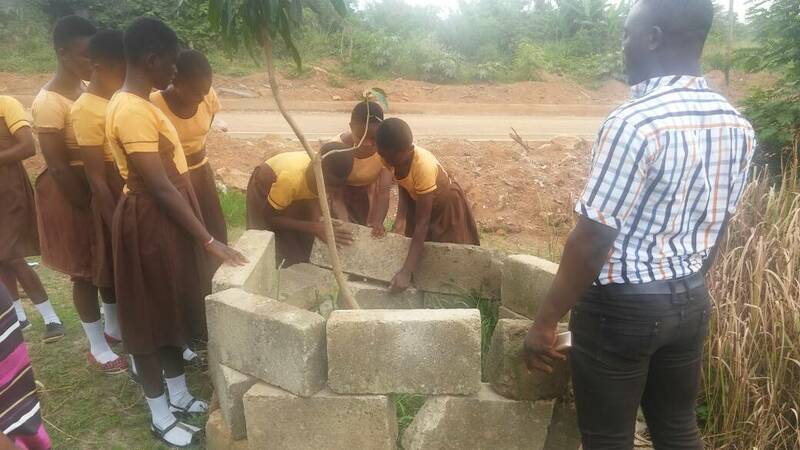 They reported to the Executive Director of the WHW, Nana Abena Akuamoa Boateng for assistance. It should be noted that Victoria had by this time been kept at home for over a month. 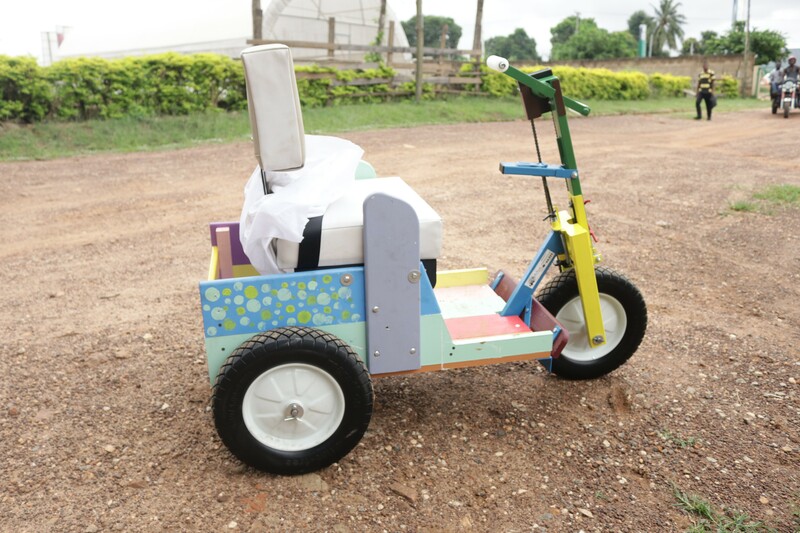 Nana Abena tasked a WHW program officer, Abraham Nkrumah, and the two facilitators to take her to the hospital. Victoria, after being discharged from the hospital. On the 28th October, 2016, Victoria was sent to the St. Michael’s hospital, Pramso in the Bosomtwe District. 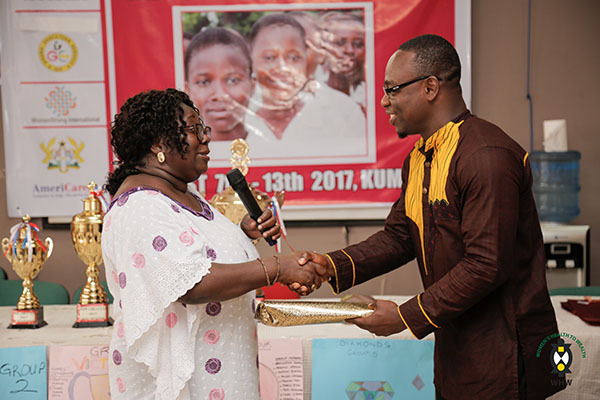 She was however referred to the Komfo Anokye teaching Hospital because the needed medical care at the time of her admission was beyond the capabilities of the District hospital WHW paid about five thousand Ghana Cedis (GH ₵ 5000) for her hospitalisation and medical bills. Due to the due diligence of the club facilitators in attending to the welfare of club members and the timely intervention of the Executive director of the WHW, Victoria has been given the needed medical care and is now back on her feet. Her legal guardian, also her brother appealed to the WHW for aid in paying her medical bills. This was subsequently done and Victoria went through a successful surgery in November, 2016. 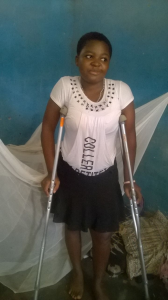 Victoria Asamoah is now well and though she has not completed the therapy needed to regain the full use of her leg, is very grateful to the WHW and her facilitators for the love and commitment to her health. It is therefore expected that she can return to school when it reopens in January 2017 and continue her education.